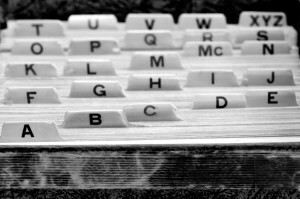 Organizing Paperwork: What is the best way to store your papers and documents? We’re supposed to be a paperless society, yet papers are still a thorn in the side of many of my clients. If you’re not yet ready to go digital with your document storage, here are a few things to consider when organizing paperwork and searching for containers and storage pieces for your papers. If the paper-capturing devices that you use are not uber easy to manipulate, then you won’t have an easy time organizing paperwork. If this step isn’t as simple as possible, then you won’t do it. So, what works and what doesn’t? These are great for holding reference materials that you need occasionally. They’re terrible for holding papers that you need to file or handle every day. I used to be a binder girl. I had binders for everything. But then I realized that it took far too much effort to use them. I had to punch holes, then pull out the binder, then open it up, then open up the rings, then load the paper, then close the rings, then close the binder, then put the binder back where it belonged. Egad! That’s a lot of work to do every day! Now, if I had nothing else to do, I’d have time to load binders all the livelong day. But if you’re like me and have a ton of other tasks that need completing, then don’t use binders to store incoming daily papers. These are terrific if you deal with a lot of handouts and brochures or printer paper. It’s hard to see what all of the different papers are in one slot, but if they’re all the same, it doesn’t matter since you just need to grab from the top of each stack. Accordion or pocket folders that have flaps that fasten with a band — These are wonderful if you are mobile and need to keep your papers organized as you get in and out of your car. They’re terrible if you’re planning to use them for filing daily incoming papers for the same reason as the binder above — they’re too much work to open, load and close. Find flap-less accordions for daily incoming papers. Taller ones are a convenient way to store manila file folders — say, for client files or project files — that you’re currently working with. Shorter sorters can store your Do something papers. These are great for holding thicker materials such as magazines and bound material, or for holding a large amount of papers related to the same subject. They’re not so great if you have only a few papers at a time in that particular category because the papers will just flop over. These are awesome! Open the drawer, open the file (the tab should be on the front of the folder so that it easily opens), drop the paper in, and close the drawer. Soooooooooo much easier! These can be utilized in a file tote or crate on top of your desk for daily papers, in your desk drawer for weekly papers, and in a file cabinet for all others. 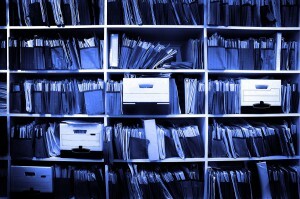 There’s no law on how the folders in your filing cabinet or container should be placed. When it comes to organizing paperwork and deciding how best to store your documents, your answer lies in this question: What will function best for you? Record Nations works to help make sure transferring to an organized document management system is seamless. We specialize in helping you find a contractor that’s right for your businesses to help you get organized, store, and scan your documents. If you are interested in learning more about the document management services that we can provide please fill out the form to the right, or give us a call at (866) 385-3706. 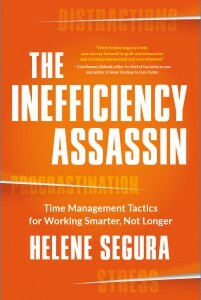 Based on the book The Inefficiency Assassin: Time Management Tactics for Working Smarter, Not Longer. Copyright © 2016 by Helene Segura. Reprinted with permission from New World Library. Helene Segura, MA Ed, CPO®, teaches individual clients and keynote and training audiences how to tell their time what to do. She’s been a featured expert in more than 100 media appearances, including Inc. Magazine and Fox, ABC, CBS and NBC affiliates. In her spare time, she enjoys traveling, experimenting with recipes, and haphazardly guessing which wines correctly pair with meals. Discover her productivity resources at www.TheInefficiencyAssassin.com.